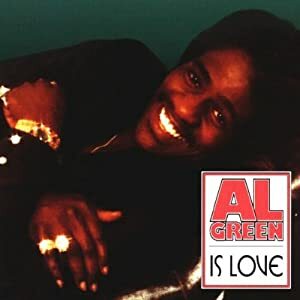 Al Green released Is Love in 1975. At that time, his career was perceived as being in decline. The sound that Green, and producer Willie Mitchell, had carefully created, and became the Hi Records sound, had been widely admired up until then. However, in 1975, this sound was seen as stale and formulaic. Many critics believed that Green could take this sound no further, and that he needed a change in direction. By 1975, Al Green’s popularity was beginning to wane. Although he was still commercially popular, Is Love only reached number twenty-eight in the US Billboard Pop charts. However there were two possible reasons for the decline in Green’s popularity Firstly, the decline in Green’s popularity was blamed on him becoming deeply religious and becoming disenchanted with secular music. The other reason was Green had been scalded by a lover, who subsequently took her own life. Those two reason, coupled with the perceived staleness in his by now, trusted musical approach, meant that Green was fast becoming yesterday’s man. However, maybe now that twenty-six years have passed since the albums release, this is a good time to reevaluate Is Love. I must confess though, that I am a big fan of Al Green and the sound he and Willie Mitchell created. When one listens to other releases on the Hi label you can see their influence in other artists’s music. One only need to hear Otis Clay singing Precious, Precious on his album Trying To Live My Life Without You, OV Wright singing That’s the Way I Feel About Cha on his Bottom Line album or Anne Peebles singing I Can’t Stand the Rain. Green and Mitchell influenced these artists and their music. Personally, I do not think Green was washed up by the release of Is Love. Quite the opposite. Listen carefully and you will hear some wonderful music, sung by a wonderful singer, with one of the best voices soul music has ever seen. Is Love starts with L-O-V-E (Love). This is a joyous slice of southern soul, where Green, the Hi house band and the Memphis Horns put in a sublime performance. Green sings of love but within the lyrics the moral and spiritual confusion he is experiencing is apparent. He sings about the “apple that is so sweet” a biblical reference to temptation. However, this is Al Green back to his best, the 70s’ soul man, the lover, testifying and seducing the listener. The second of the ten track on the album is Rhymes. This is song has lyrics that have a surreal quality, they have been described as nonsense lyrics by reviewers previously. However, this is a perfectly pleasing, if throwaway song. The Love Sermon is a clear demonstration of the secular and spiritual dilemma facing Green. In this deeply personal song, Green lays bare the problems facing him, and examines the moral crisis he is experiencing. The song is a lovely slow paced one, where Green and his band allow the song to breath. One of the criticisms of this song, is that it does not have a traditional structure. Instead, it has the feel of Green searching and exploring and has a meditative quality. This, however, does not, in my opinion detract from the quality of the song. After all, soul music’s roots are in gospel music, so it is acceptable for soul music to have a spiritual side. On the next track, There Is Love, Green returns to what previously, the listener would expect. However, this is no ordinary soul song. Instead when one listens to the lyrics, not only could this be a song sung to a lover, but one sung to God. The arrangement in this song is beautiful, one the best on the album. When you hear the song and the arrangement you will wonder why the critics thought that Green should take his sound no further, and try a different approach. Could I Be the One is the best song on Is Love. The lyrics to the song are beautiful and heartfelt, Green delivers the song perfectly, and the tight band, accompanied by the Memphis Horns and Rhodes, Chalmers and Rhodes on backing vocals, make this comparable with Al Green’s best work. The pace of the song is slow and Charles Hodges organ solo and the backing vocalists emphasizes the songs beauty. This truly is a wonderful slab of southern soul that will tug at your heartstrings. Love Ritual to me is the worst song on the album, it has the feeling of being filler, and has, in my opinion, no place on the album. Quality control failed here, and failed badly. The song has no lyrics in the traditional sense. Instead what we have is Green singing almost a stream of consciousness. The song’s only redeeming feature is the band’s performance. They give their usual tight, polished and professional performance. The rhythm of the song is good, it has a somewhat exotic feel to it. However, even such a polished performance from one of soul music’s house bands, cannot save this song. I Didn’t Know is the next song on Is Love. The track is a slow one, and it has a bluesy feel to it. This is a good song, however, it is not a great one. It certainly is not vintage Al Green. The song starts slowly, Green singing about an old lover, how he did not know how much they loved him. However, the song could also be a spiritual one, with Green singing about how he never knew how much God loved him. Overall, the song is an atmospheric, moving one, but it is no Let’s Stay Together or Tired of Being Alone. Oh Me, Oh My (Dreams In My Arms) is the next track. This is a good song and was the second single from the album. However, it only reached number forty-seven in the US R&B Charts and forty-eight in the US Pop charts. This is a feel-good track, although the lyrics are somewhat weak, and don’t match the performance of the band and backing vocalists. It could be seen as Green’s reaction to the arrival of disco as a musical genre, and by doing what the critics wanted, by changing his musical direction, this meant Green was caught between two musical stools. The next track I Gotta Be More (Take Me Higher) is an improvement on the previous track. It is not vintage Al Green, however. The lyrics are of a higher standard than h Me, Oh My (Dreams In My Arms) and have some depth and meaning within them. Green’s vocal performance is strong and he is ably supported by the Hi House band. The Memphis Horns produce their usual high-class performance and the backing vocalists Rhodes, Chalmers and Rhodes have reserved one of their best performances for this track. On the final track, I Wish You Were Here, Al Green has kept an ace up his sleeve. This track, for me, is the second best track on the album, second only to Could I Be the One. The lyrics are moving and have a quality not to be found on certain tracks on this album. Green’s vocal performance is stunning, it is his best vocal performance on the album. The band compliment his vocal, playing behind Green’s vocal, never overwhelming his vocal. This is a fitting way to end the album. So having read this review you may feel that Is Love is a mixed bag of an album. That, maybe, would be overstating things, Certainly this is not vintage Al Green. However, the album features some wonderful songs, such as, L-O-V-E (Love), Could I Be the One and I Wish You Were Here. What the album is though, is an interesting document as to what Al Green was going through at that time in his career. He was facing conflict between secular and spiritual music, which seemed to restrain his songwriting performance. This album also demonstrates how good a band Hi Records had at that, the talent of the Memphis Horns and Willie Mitchell’s talent as both a producer and songwriter. Maybe it is no coincidence that Mitchell co-wrote L-O-V-E (Love) and Could I Be the One and wrote I Wish You Were Here on his own. One wonders what kind of album Green would have produced without Mitchell at his side. On the whole, this is a good album that is worth buying. Within the album you will find some great songs. The only really poor song, for me, is Love Ritual. Yes there are some songs that are not up to the standard of Green’s best work, but how many artists consistently produce great albums each time? So what is my advice to anyone contemplating buying Is Love after reading this article? My advice is quite simple, go out and buy Is Love, and while you are doing so, buy a copy of Let’s Stay Together, Explores Your Mind and Belle. If you do so, you will have some of Al Green’s best albums. Maybe then you will go to explore the rest of his back catalogue, and the rest of the Hi Records back catalogue, as Hi Records produced some wonderful southern soul music by Otis Clay, OV Wright and Anne Peebles. Standout Tracks: L-O-V-E (Love), Could I Be the One and I Wish You Were Here.